There are various factors that needs to be considered in a data migration project. PsiberTech has handled a number of Data Migration projects successfully. 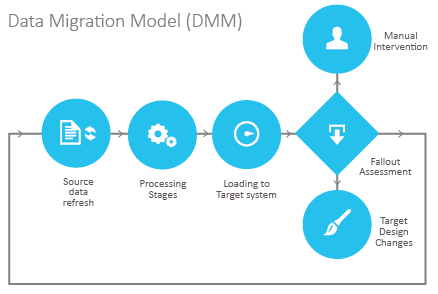 We have the niche skill set and facilities to provide following Data Migration activities using the DMM module. Storage Migration: Physical move of data. Application Migration: Changing application vendor or platform. Business process Migration: Mergers and acquisitions, business optimization and reorganization to attack new markets or respond to competitive threat.